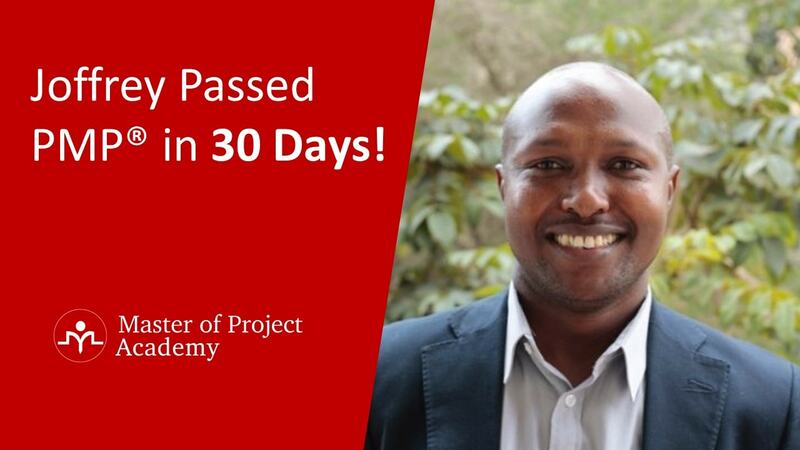 Any business who wants to produce quality products that deliver on customers’ expectation will do well to employ staff with Six Sigma Green Belt Certification who have completed classroom or online Six Sigma training. In the Six Sigma approach to problem-solving, a Six Sigma professional will review the process to determine where the points of pain are and how to improve the process. Part of the Six Sigma method is to calculate the number of defects that the process delivers. There are various metrics used to evaluate defects: Defects per Unit (DPU), Defects per Opportunity (DPO) and Defects-per-Million-Opportunities (DPMO). 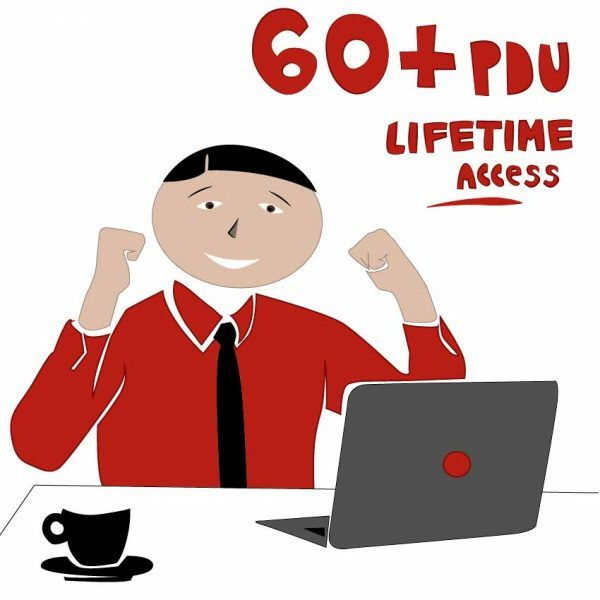 What Does DPMO Mean in Six Sigma? 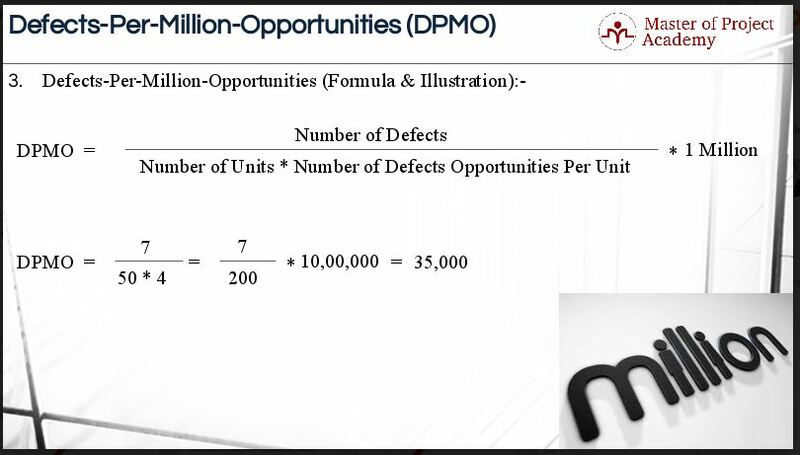 Defects-Per- Million-Opportunities, which is abbreviated as DPMO. It is also called as NPMO or Nonconformities per Million Opportunities. It is defined as the ratio of the number of defects in a sample to the total number of defect opportunities multiplied by 1 million. DPMO is a long-term measure of process performance. It is a measure of the error rate of a process. The metric tells you how good your process is towards committing mistakes. It requires you to think reversely. 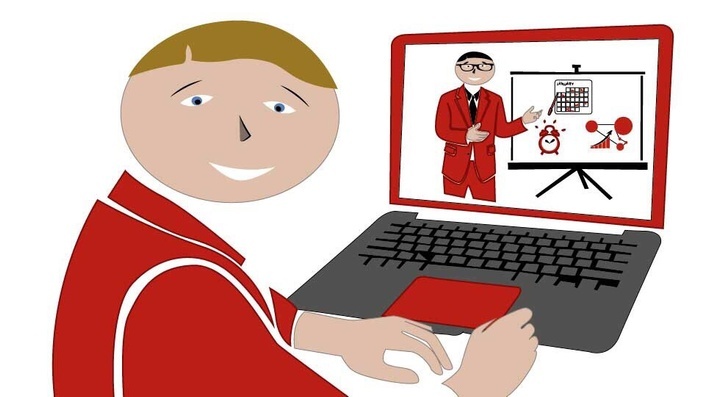 There are five steps to calculate process’s Defects-per-Million-Opportunities. 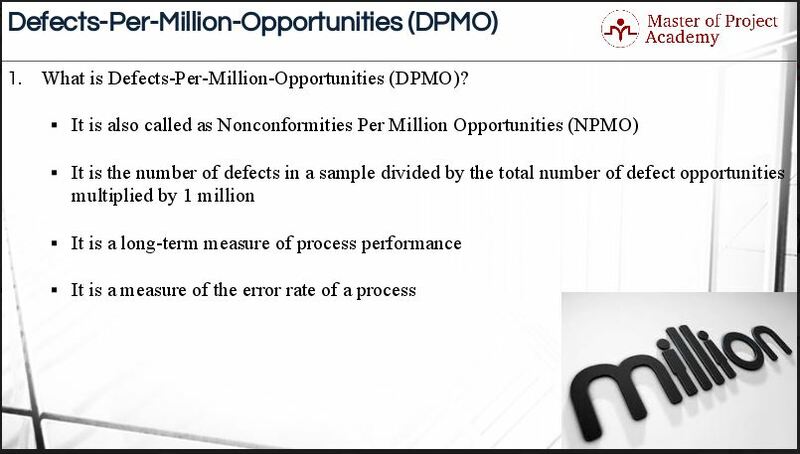 The first four stages of DPMO calculation are similar to that of computing Defects per Opportunity or DPO. The first step is to determine the total number of units to be sampled. In other words, you have to determine the sample group size. As a thumb rule, the sample size should be small enough to be manageable, yet large enough to reflect whatever problem is undermining the process. Going through this process, you have to keep the Voice of Customer in mind. Some characteristics of the products may be important to clients and others might be nice-to-haves. Focus on the features that will impact on customer satisfaction and make sure that the traits are measurable. The third step is to determine the total number of defect opportunities ONLY for the sample size under consideration. This is done by multiplying the number of units in the sample group with the number of defect opportunities per unit. The fourth step is to count the defective opportunities within the sample group. 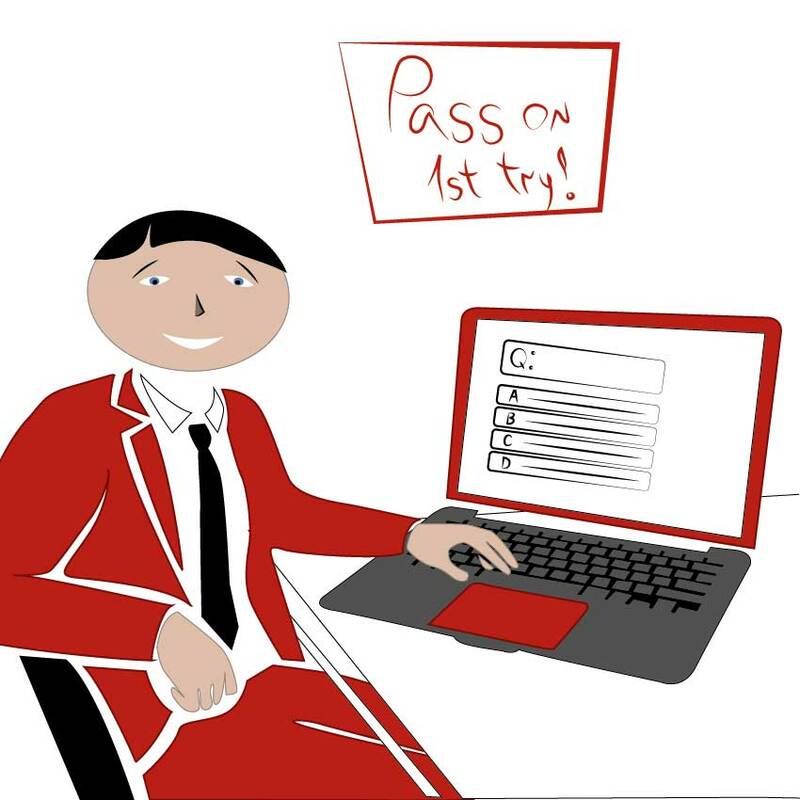 You will simply have to calculate how many opportunities within the sample group actually contain defects or errors. It is important to take a sample group that is representative of the population. Also, the sample group must be large enough to be meaningful, but small enough to be manageable. In the fifth and final step, we simply have to divide the total defects by the total opportunities which give us the DPO. 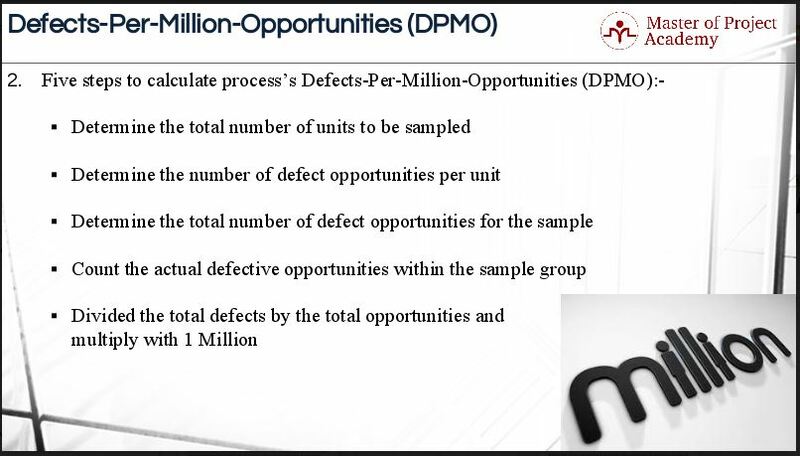 Then we multiply the DPO by 1 million to obtain the Defects-per-Million-Opportunities. This value gives us an accurate, long-term, view of the efficiency of the process. Here you go with a quick illustration that we used for calculating DPO. Mr. X has got the business of printing visiting cards. Each order is considered as a unit. Each order has four defect opportunities i.e. incorrect, typo, damaged or incomplete. Fifty orders have been randomly selected and inspected. Out of the fifty orders, six orders have a problem, and there are a total seven defects out of fifty orders that have been sampled. Let us have a look at the formula for calculating DPMO. In your equation, multiply your DPO by 1 million. Have a look at the formula again, it is similar to the formula of DPO except for the final step. Since we are talking about one million opportunities here, we have to multiply the DPO by 1 million to get the DPMO in the last step. Therefore, the DPMO is equal to seven divided by two hundred (which gives us the DPO) and multiplied by 1 million which provides us with the DPMO. The answer is 35,000. The conclusion is: your process will generate 35,000 opportunities for committing defects or errors when it has produced 1 million orders. Consider this, the best process possible will have a DPMO of zero, while the worst possible process will have a DPMO of 1 million. This gives some context regarding good or bad processes regarding DPMO. 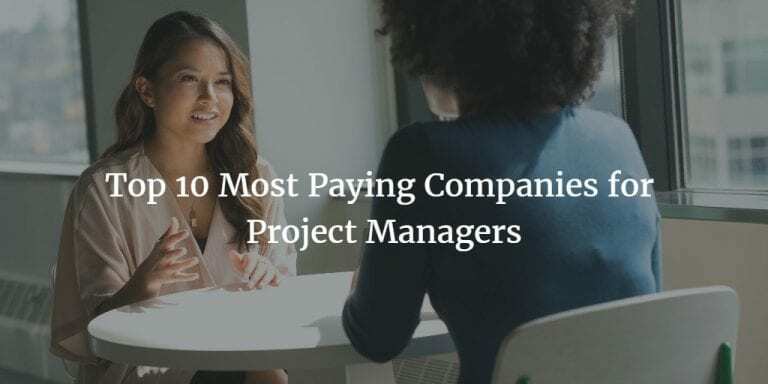 Why is it necessary to calculate the DPMO of a process? 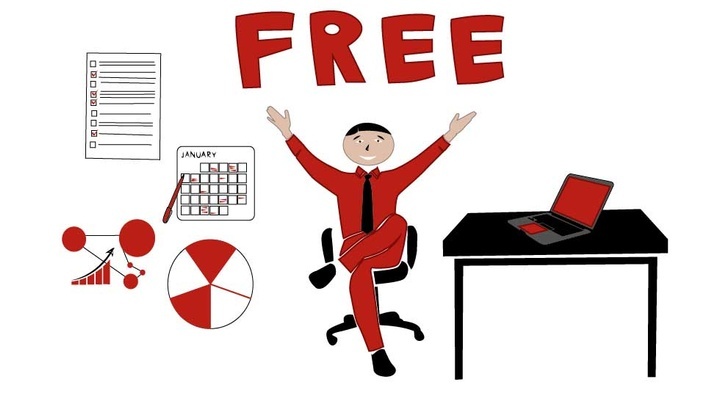 It gives your business an accurate picture of the efficiency of your process. 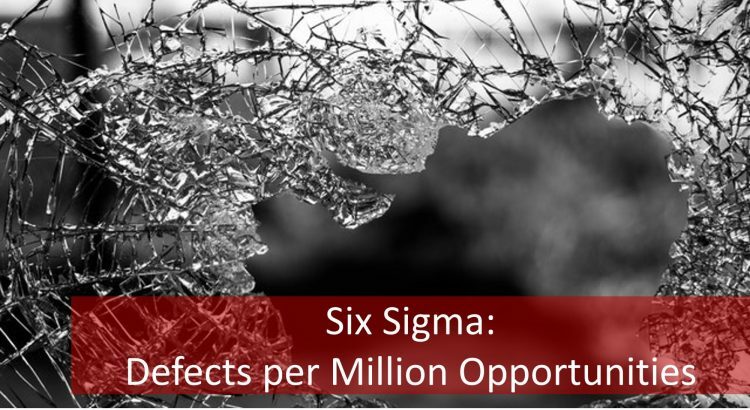 Depending on the Defects-per-Million-Opportunities, your company can decide whether it is necessary to launch a Six Sigma project that will improve the process and reduce the number of opportunities for defects per million products. If the DPMO is too high, you run the risk of negatively affecting customer satisfaction which in turn will reflect negatively on your business. Six Sigma business improvement projects focus on reducing errors and increasing customer satisfaction and thereby nurturing a healthy business. This is what does DPMO mean in Six Sigma approach.